$345.00 To see product price, add this item to your cart. You can always remove it later. What's this? So, you've played guitar for a while. Play in a band, bedroom shredder, doesn't matter. The point is that you've advanced to the point where you don't take things for granted, You know tone, own great gear but want that thing that'll put your creativity over the top. Well, you've found it! 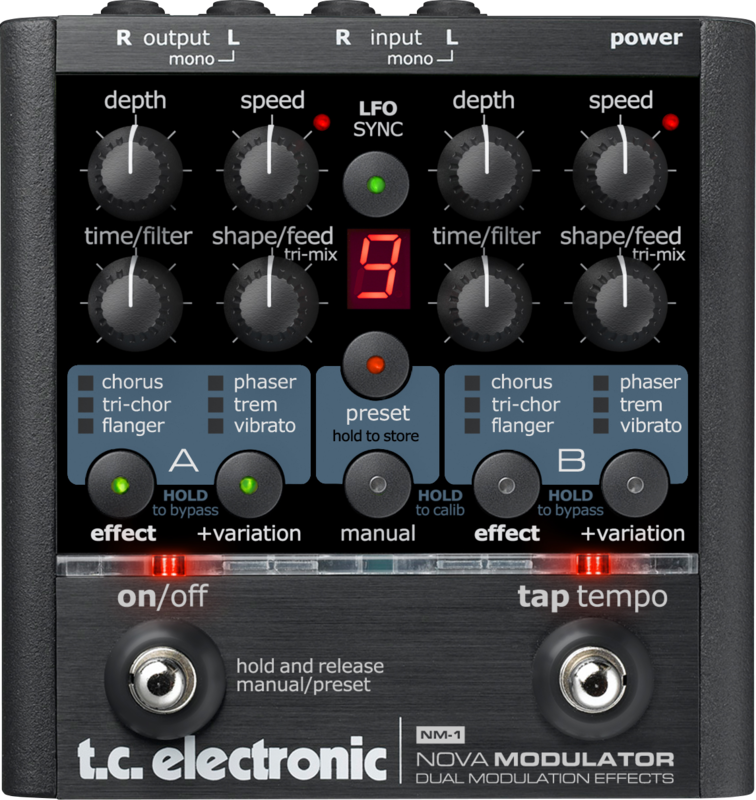 With seven stellar effects including tri-chorus and through-zero-flanger, Nova Modulator gives you all the modulation effects you'll ever need - and then some. Use 2 different modulation effects simultaneously or combine 2 of the same ones and see how extreme things can get. Warning/encouragement: it can get pretty crazy. With an endless amount of tonal possibilities, we've made sure you have room to store all of your most creative sound designs. There's 9 programmable presets on tap giving you a wide range of ways to capture your sounds. Maybe for the band or just as a sketching block for the soundscapes in your head.